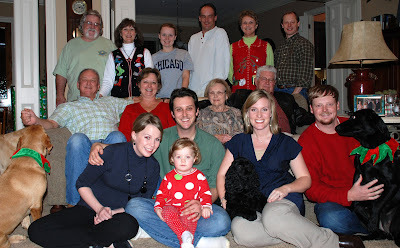 It was a Merry Christmas 2009! It would not be Christmas Eve without the Black Family Christmas photo at 10:30pm! Ha! 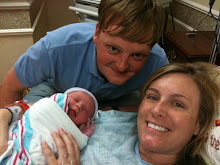 It is amazing little Addie Grace was still awake, but I really think she had the most energy of all of us! Pictured from top left: Skip & Jan (Wayne's dad's sister; Barrett's mom); Sara (Wayne's little sister who was very sick); Doug (Wayne's dad's baby brother); Susan (Wayne's dad's youngest sister) & Rob (they live down the road from Wayne's parents & go to church with us); middle row: Mitch & Dean (Wayne's parents); Memaw (Wayne's grandmother) & Hilton (her adorable husband); front row: Iris (the yellow lab that you barely see; she belongs to Jan); Swayzee (Sara's yellow lab & Neeli's sister); Amy, Barrett (Wayne's first cousin) & their beautiful little girl, Addie Grace (she is the first great grandchild); and us! 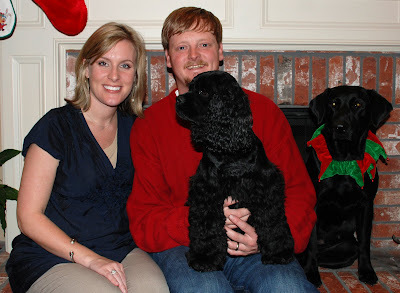 Our annual Christmas photo in front on the fireplace! Wayne is in his traditional red sweater that he has worn for the past ___ years! And I am wearing the only thing that fits! Ha! 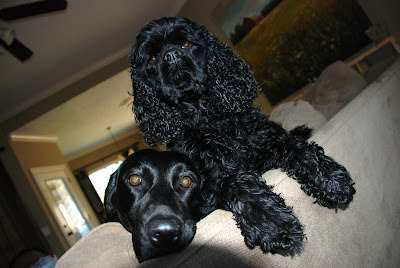 Neeli (and her sister, Swayzee) sported matching jester collars. Nova did not like her red scarf or new Santa hat! Wayne & I have a family tradition of wearing new Christmas P.J. 's each Christmas Eve night. 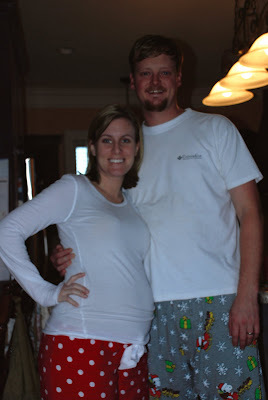 Seeing this pic makes me happy - and glad that I thought ahead and got a maternity top! And this year we started a new tradition of spending the night at Wayne's parents - it was so nice to wake up & head downstairs for Santa and homemade cinnamon rolls! Someone is a big girl! Well, if you ask her, she will tell you she's a big girl! :) She is so smart and so full of energy! 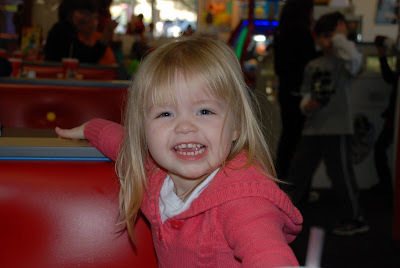 We went to Chuck E. Cheese, the park and visited with Granny & Poppa on Saturday! And we went to church and Grandmommy's for Christmas on Sunday! We had a big time, and Aunt Sally has the exhaustion to prove it! I must admit that we were both a bit in shock at first, but we are thrilled to be welcoming a baby girl!!! Poor Wayne will now have four Black girls to please (me, Neeli, Nova & our baby girl)! 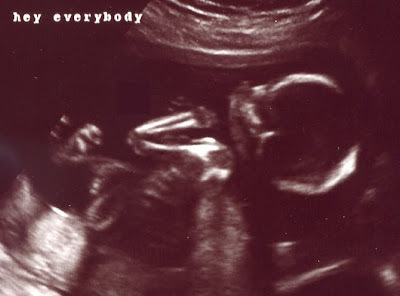 Our little girl now weighs 7 ounces, and we were amazed to see so much detail in her sonogram. She is very active and healthy, and we can hardly wait to meet her on May 26th. Baby B is officially on the move! This morning at 3:40am Wayne left to go duck hunting with Chris! Those guys and their hunting!!! Well, for some reason I could not go back to sleep - for TWO HOURS! At 4:08am I was laying on my back (well, I sleep at a 40 degree angle) and felt the baby bump move just below my belly button, so I placed my hand there. Within moments Baby B moved TWICE! I was so excited that I texted Wayne! Of course, I left my hand on the baby bump to be sure not to miss another foot, elbow or head! Sure enough, at 4:28am I left another protruding movement! Yay! This was my first time to feel the little one move! I cannot wait for Wayne to feel it! Yes, it's true! 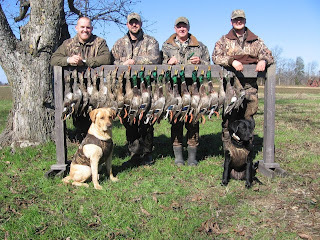 Wayne stayed home during a weekend of duck season - the ducks simply do not like rain! We had a great weekend of hanging out and watching movies! We had dinner Satuday with Amy & Dustin then we had a Cocktail Party at Caleb & Tallie's house - both were oh so fun! But I must admit that I will no longer be wearing traditional dresses - maternity clothes here I come!!! Well, it's official! 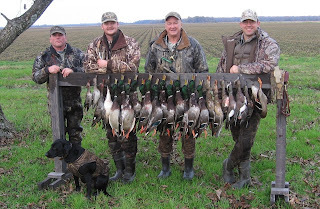 It's duck season in the Delta! And the guys are loving it! Josh and JD joined Wayne and Mitch on Friday! They were in and out of there in no time! Chris and Michael joined Wayne and Mitch on Saturday morning! And that adorable, huge lab is Neeli's brother, Otis! Isn't he precious? And on Sunday Mansil joined the group from Saturday! Neeli had a small injury so Otis was a busy boy! 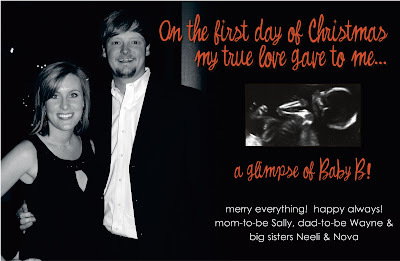 Congrats Emily & Bo Holland! Wayne was already hunting in the Delta, so Sara and I traveled up Saturday to attend Emily and Bo's wedding in Batesville. Emily was a beautiful bride! And the wedding and reception were festive and fun! 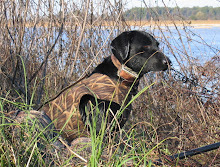 While the girls were traveling Neeli and Wayne traveled to Birmingham, AL to participate in a Hunt Test! And I am happy to report we now have a Champion - I guess traveling to all corners of the Southeast with our little athlete has proven valuable! 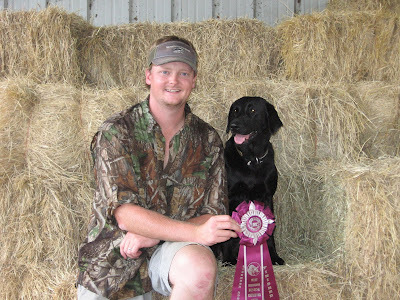 Neeli earned her Hunt Retriever Champion title Saturday following it up with another ribbon on Sunday and a wet bath for Wayne (it is a tradition to soak the owner when he earns a title)! Wayne and Neeli are on cloud nine. Wayne is excited about the title! 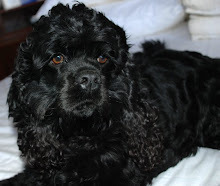 Neeli is excited about the reward - she gets to sleep with us!!! 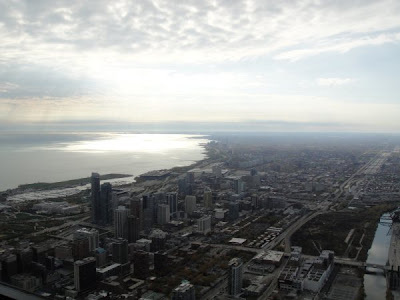 Chicago was our destination... Four girls on a four day weekend to discover all that the Windy City had to offer - via each and every mode of transportation and with the help of a terrific itinerary!!! Enjoy a glimpse into our FAB TRIP! The trip began Wednesday night at 5:30pm as we boarded Amtrack in Jackson. We picked up Melissa in Memphis at 10:40pm. And a wonderful 15 hours from our boarding time we arrived in Chicago - that is 9am! It was a long and adventourous trip - well worth the time!!! 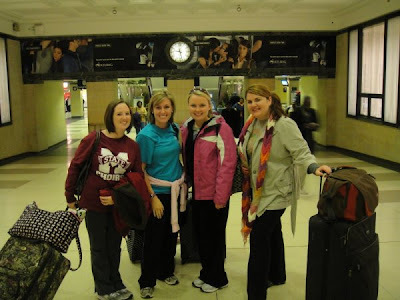 Here we are in Union Station (Kelly, me, Sara, Melissa)!!! Of course, one of our first stops was Millenium Park to see the SHINY BEAN!!! Although it was sprinkling we got some great pics! Have I mentioned Chicago is pretty cold and kinda rainy in October? A trip to Chicago is complete with the JAZZ BAR experience - even though some jazz guys really love their instruments! Ha! 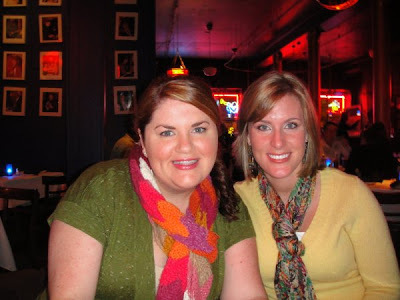 Melissa and I were smart to bring an extensive collection of scarves! 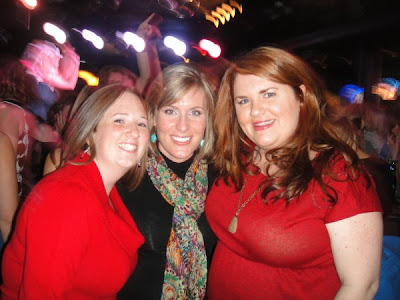 And, of course, Howl at the Moon, the duling piano bar, was SO MUCH FUN! Although I think you would have to get there at 6pm to get a seat, we danced the night away to everything from the Michigan Fight Song to Sweet Caroline! Loved it! 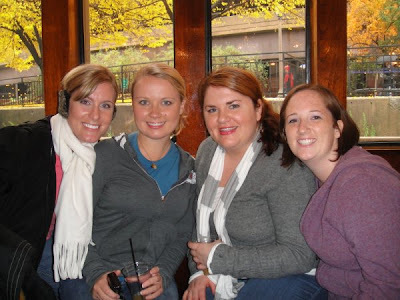 Chicago was a terrific choice for our Girls' Trip! 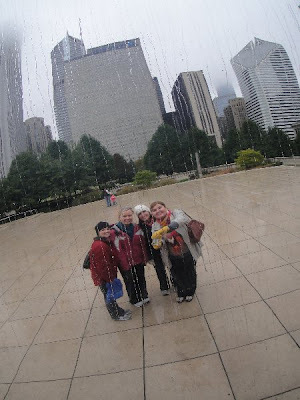 We loved the Willis Tower, the El Train, walking, Michigan Avenue, Lincoln Park, walking, Lake Michigan, Navy Pier, shopping, walking, Buckingham Fountain (although it was dry), the friendly Chicagians, all the terrific PIZZA, the noteworthy and being able to actually use all of our Winter and Rain Gear!!! FUN!!! The cutest 'lil pink monster you have ever seen came to visit her Sally and Unc Wayne this weekend! And boy, did we have a big weekend! 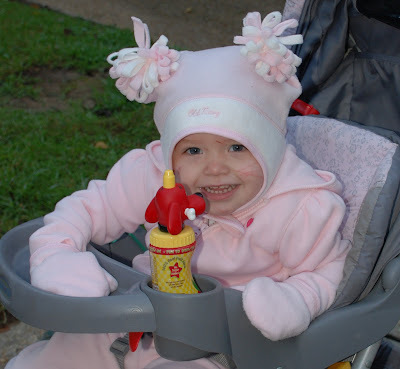 It all began with a shopping trip to Old Navy for above outfit - Kailee loves to shop and go fast in the buggy! Saturday morning we got up bright and early to walk in a 5k with my friend Katy - Kailee came in first in her age group and, amazingly, Katy and I came in 2nd and 3rd in our age group! Saturday afternoon was spent visiting with family and friends - Nana, Grandmommy, Granny, Dean, Swayze, Lizzy! Sunday we both went to the nursery at church while Unc Wayne went to big church - it was lots of fun to watch Kailee interact with other kids! We had a great weekend - but I am exhausted!!! Yay! Wayne and I had our lunch date at the fair!!! It was so much fun! 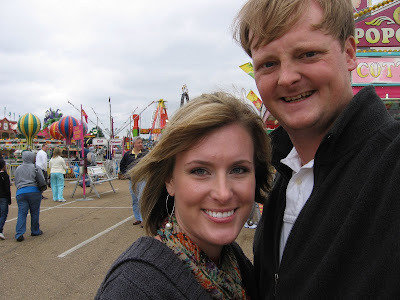 Wayne had been craving fair food - he had not been to the fair (Neshoba does not count) since high school (ten years ago)! Of course, I would rather ride the rides than eat at the fair anyday, but since we was willing to go (for the first time since we have been together) I decided I better seize the opportunity! Wayne had a Polish sausage dog covered in onions and peppers and mustard - interesting choice! And I had Penn's chicken-on-a-stick - I figured that was pretty safe! We walked the midway to see what we could see - what is it about the fair that brings out the weirdos? Before we left we also grabbed a funnel cake, and Wayne was already talking about our second annual fair trip - What?!?!? Next year I am hoping to incorporate a ride or two!!! I love Mondays! Each Monday after work we go to Wayne's parents house for dinner! It's terrific! My MIL is a great cook, and she always makes dessert - my fav! Today she had half of a pecan pie waiting for me - Wayne doesn't like sweets very much! So, after a delicious dinner (chicken pie, black eyed peas and fried okra - my fav food ever) I decided I should take a bit of a break before dessert! After visiting with Granny and Poppa for about 20 minutes I anxiously returned for my delicious dessert! Instead, I found my favorite little baby dog, all fours on the table, devouring my precious pecan pie!!! Of course, she is a picky eater - she had carefully taken off the top layer of pecans and placed them to the side (she gets that from her daddy)! Needless to say, I did not get dessert this week! Now I am just hoping that Nova does not get sick! I don't think she has ever had sweets before - she is more of a popcorn kinda girl! The Black's on the Beach! Welcome to our first annual Black Family Vacation! Typically, the guys take a hunting vacay (think kill ducks) and the girls head to the beach! This year we started a new tradition of vacationing together! But, of course, the first thing Wayne and Mitch (FIL) see is a double banded pigeon on our balacony! Ha! I guess boys will be boys! We had a great time relaxing poolside (no beach bc there was no wind), playing cards (Wayne and I won in pinochle), reading (I have the cutest book about a pig), eating at all of our fav places (the guys were impressed) and, of course, the dog races (Dean (MIL) and I almost won all of our money back)! As the sunset on our last day even the guys were eager to return next year! And that's a big deal! Whether you are conservative or liberal this page turner will keep you on the edge of your seat. Although its fiction, this 556 pager is loosely based on the life of Laura Bush creating curiousity and delight around the famous character who is referred to as Alice Blackwell in the novel. And, of course, I will be passing this novel on. I could think of no better recipient than my enthusiast friend Katy (who is currently the bread winner while her husband finishes through law school). Katy's secret wish is to be the wife of the governor and host fantastic parties at the capital - she is truely the American Wife! 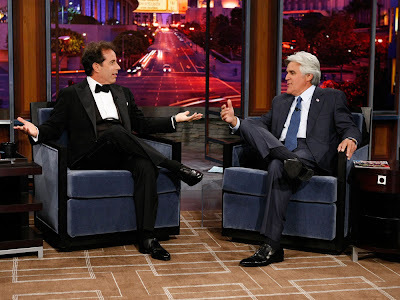 I love Jay Leno - his long chin, his silly laugh, his love of cars - it just makes me smile!!! I am so glad he is back, but I am especially glad it is at a earlier time (some nights I had time keeping my eyes open for his monologne). And, for the most part, I liked the first show - the monolgue, the dan band, Jerry and Oprah were great, but I turned off the TV after the first few lyrics of the JayZ/Rihanna/Kanye West tune (actually Wayne did it bc he actually understood what they were saying)! Ha! 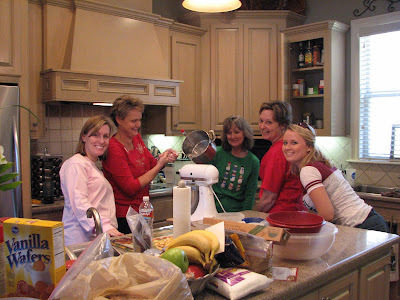 Us girls had such a great weekend... Grandmommy came to visit! And we went with Sara to Build a Bear - the highlight of the weekend was building Maggy the Monkey who wears a red & white sundress and white sunglasses (lots of work for a two year old)! Thankfully Sara spent the night Saturday night - I am not sure we would have made it to church without her! 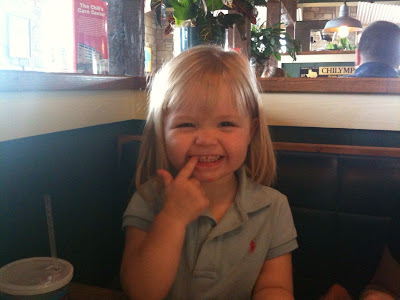 After church (Kailee loves the nursery) we had lunch with Dean and Sara! Wow! It was a big weekend, but it is such a joy to be around Kailee! Now I need a nap!!! Neeli had such a fun time with her daddy this weekend. 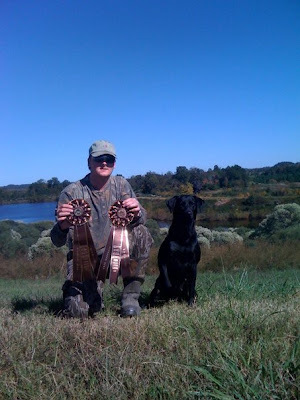 They ran the West Mississippi Hunt Test at Kearney Park. I honestly am not sure who gets more excited - Wayne or Neeli! But they both were thrilled to return home with a ribbon this afternoon. Go Team!!! Only three more finished passes to go, and we will have a Champion Hunter! Do you listen to KLOVE? If not, you should give it a try! In Jackson the station is 100.9, and I listen anytime I am in my car (unless Dave Ramsey is on Talk Radio)!!! Ha! This morning I heard a song that just spoke to me... "He is" by Mark Schultz! With Labor Day comes the official beginning of hunting season. 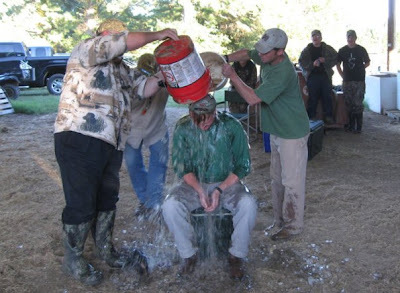 We embarked on the Delta for a weekend of food, fun and hunting doves! Wayne will soon disappear into his hunting rituals, so the opening weekend is a great time for us to spend some time together in his favorite place. And it was a successful weekend as well with a total of 353 doves joining the messes of game in the freezer. 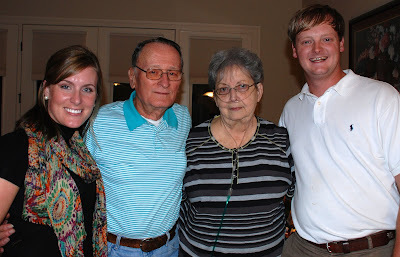 Granny and Poppa celebrated their 60th anniversary yesterday! Their story: Granny was just 16 when they married, and Poppa was 22! Ha! Poppa found him a young girl! They married in Mobile, and they told no one what they had done! They spent the afternoon of their wedding day (a Friday) at a baseball game. Then Granny stayed with her Aunt Gladys and Poppa stayed with his family that night. It's official!!! Goose season is here! It actually opened yesterday, but Wayne and Neeli got started this morning. And I think Neeli had just as much fun as Wayne. Nonetheless, both of them were giddy early this morning - they woke up a 3:30am - that is a big deal for Wayne! The hunt was a huge success! 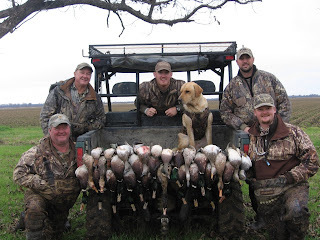 The guys (Wayne and four friends) had a five man limit - that's 25 geese! Neeli retrieved 18 of them so I am sure she will have a sore neck (geese are much bigger and heavier than ducks), but she is as happy as a lark!